Back to the Future: Will Xi Jinping be China’s Gorbachev? Much is wrong in the nation. The economy is slowing. Corruption is exposed daily. Protests are an everyday occurrence. And the nation is preparing for a new leader. While that may sound like China today, I’m referring instead to the Soviet Union in 1985. 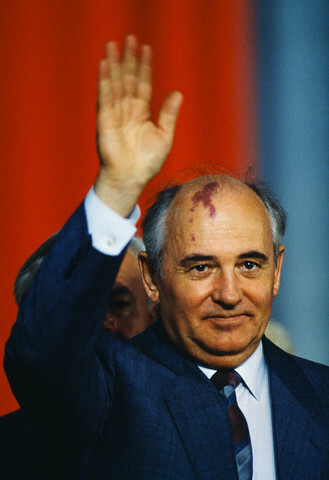 Gorbachev instituted cultural reform allowing greater freedom of expression, known in Russian as ‘Glasnost.’ He also instituted economic reform to kick-start the economy, also known as ‘Perestroika.’ This double-down strategy did revive the economy, but the freedoms of expression meant fewer were willing to accept Communist rule. 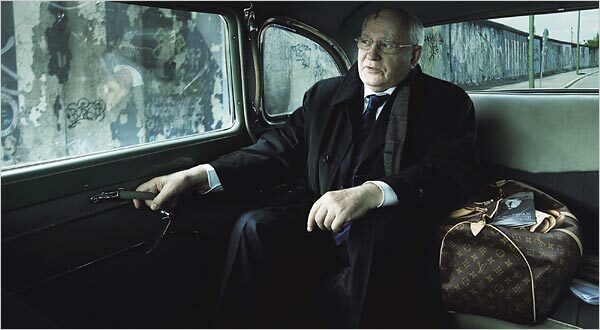 The dissolution started at the edges when Baltic States broke free. In time the entire country demanded freedom and the Soviet Union ended. Xi Jinping, China’s Last Secretary General? The similarities to what Xi face and Gorbachev faced are unsettling. “China’s situation right now is similar to the end of the former USSR. The position that Hu Jintao is currently in and certainly the next leader will be in as well is similar to that of Mikhail Gorbachev’s in 1989,” said Roderick MacFarquhar, a Professor of History and former Director of the John King Fairbank Center at Harvard University (Source: Business Insider). Xi inherits an economy in regress. Corruption is sapping productivity and diminishing the power of investments. State-owned enterprises receive the bulk of loans and investments yet aren’t performing to market conditions. At the local level people protest daily over corruption and unjust treatment. The source points to prove these claims are rife, from the hospital opened in Shenzhen that differentiates itself by not allowing doctors to take “red envelopes” (aka bribes). Or the villager who exploded a suicide vest in front of municipal offices protesting the taking of her land killing herself and two others. Or the graphic images last week of a woman lying unconcious next to the 7 month old fetus of her child that was forcibly aborted. Of course there are an equal number of proof points that show China’s progress. But that doesn’t negate that much needs to change in China. Incoming Secretary General Xi is the first of a new, younger generation of political leaders to take the reins. It does sound like a repeat of history. A country in strife. A new leader. Demands for change. Willingness to adopt new policies. All of this sounds strikingly similar to what Gorbachev faced in the Soviet Union when he assumed the mantle of power. For Xi Jinping, the struggle will be to reinvent the country without losing the nation in the process.